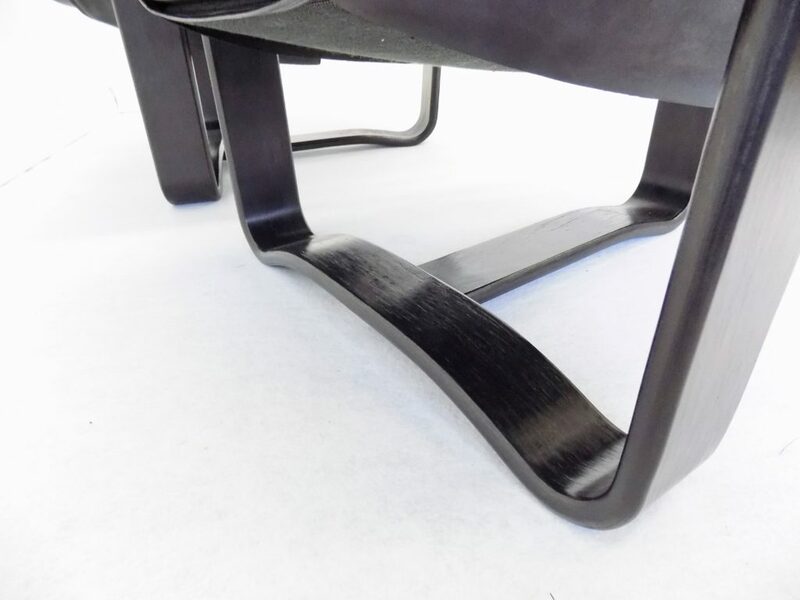 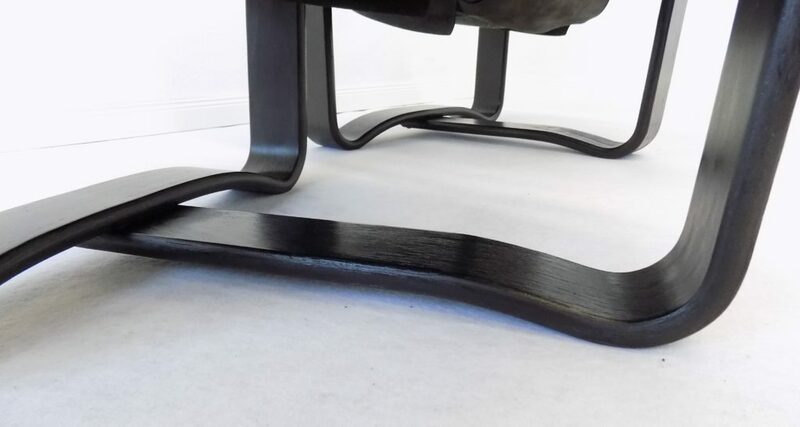 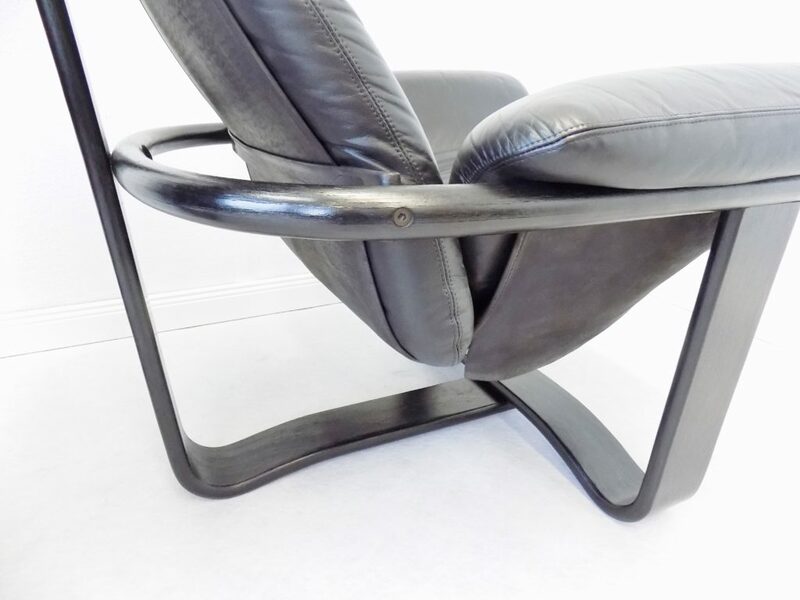 The Manta armchair is one the most outstanding Designs of the norwegian designer Ingmar Relling, manufactured by Westnofa. 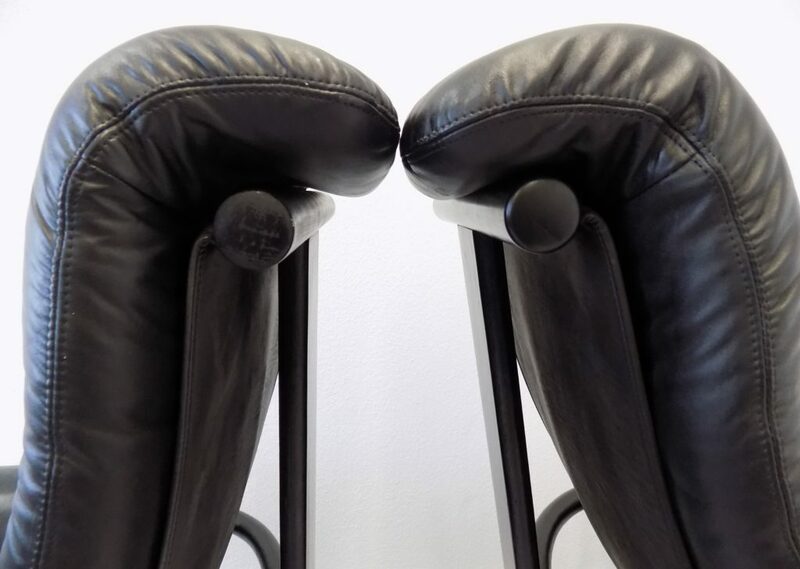 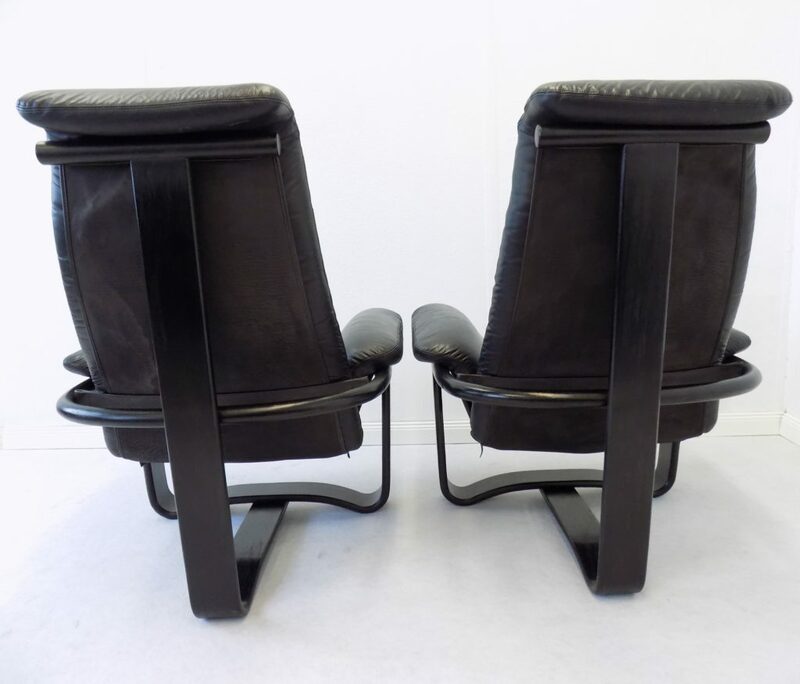 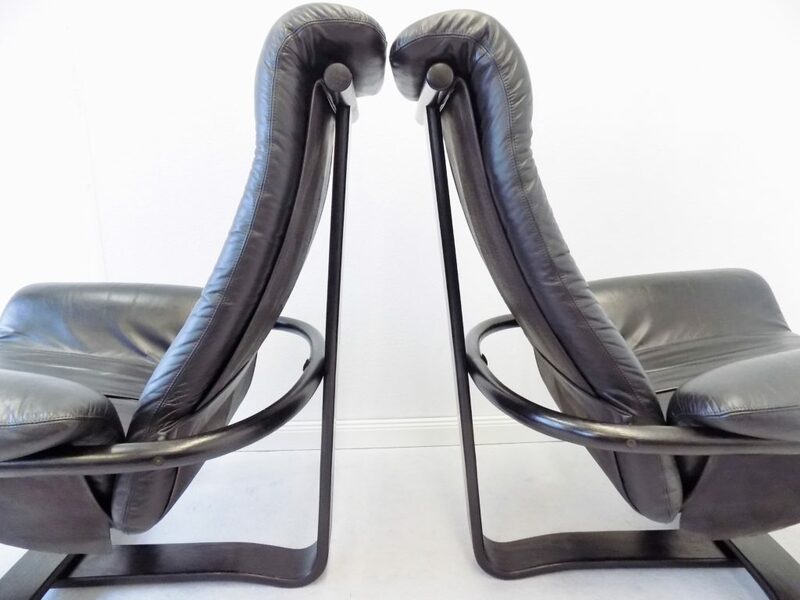 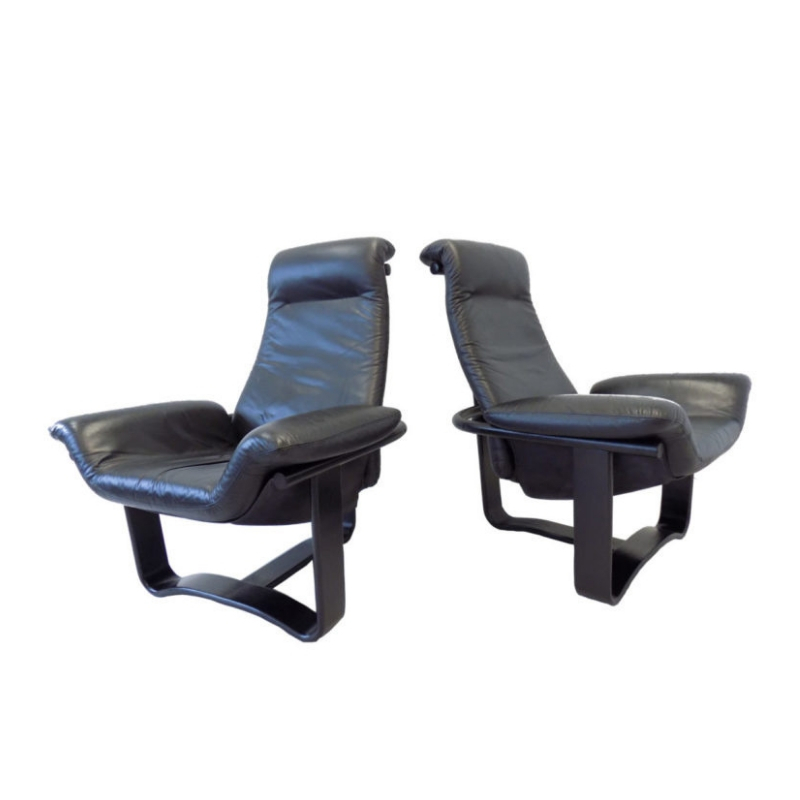 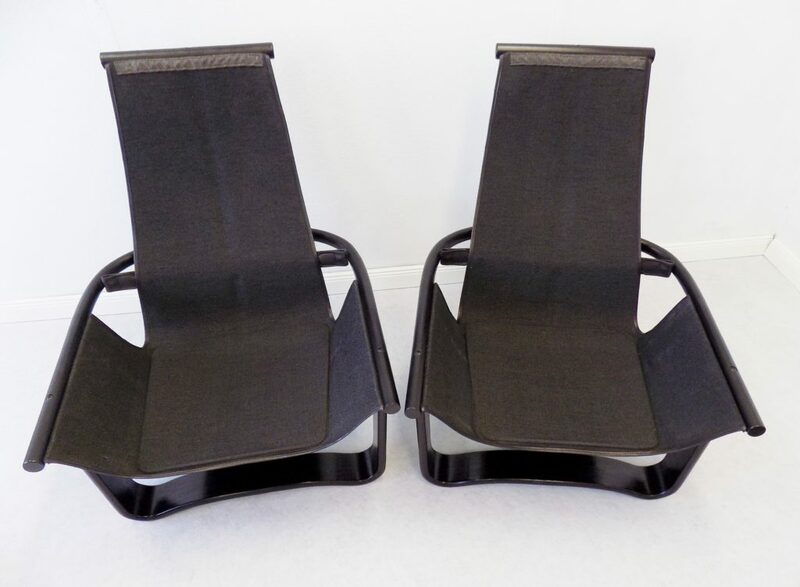 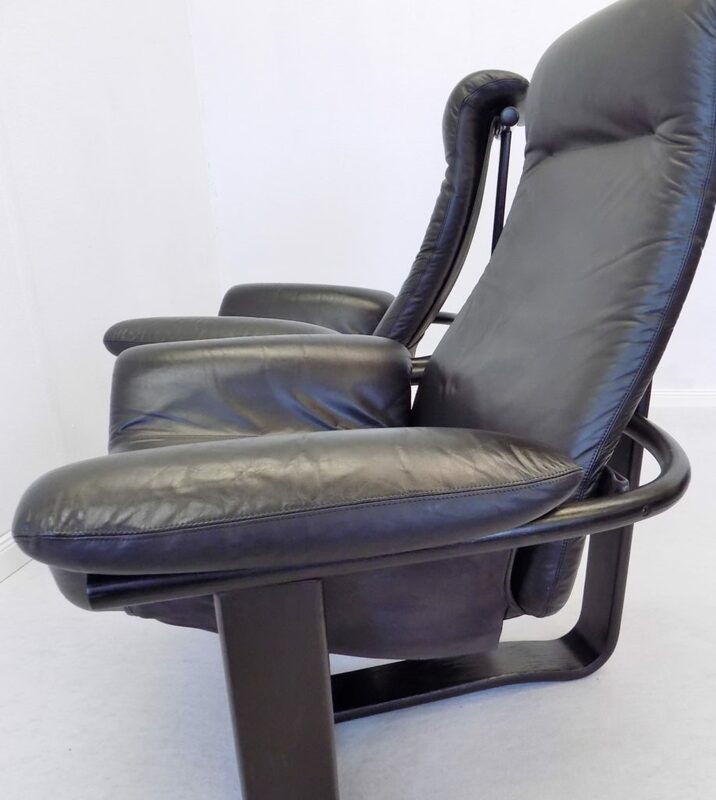 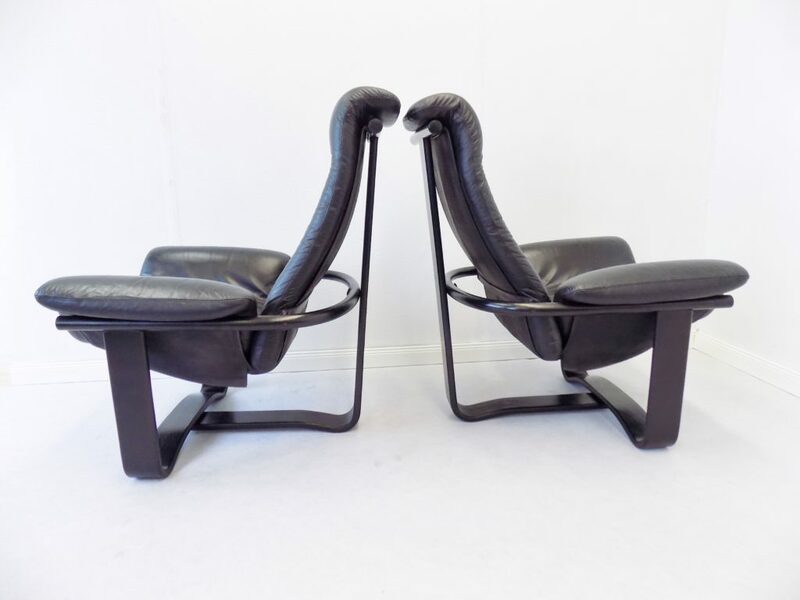 This pair of black Manta chairs is in excellent condition. 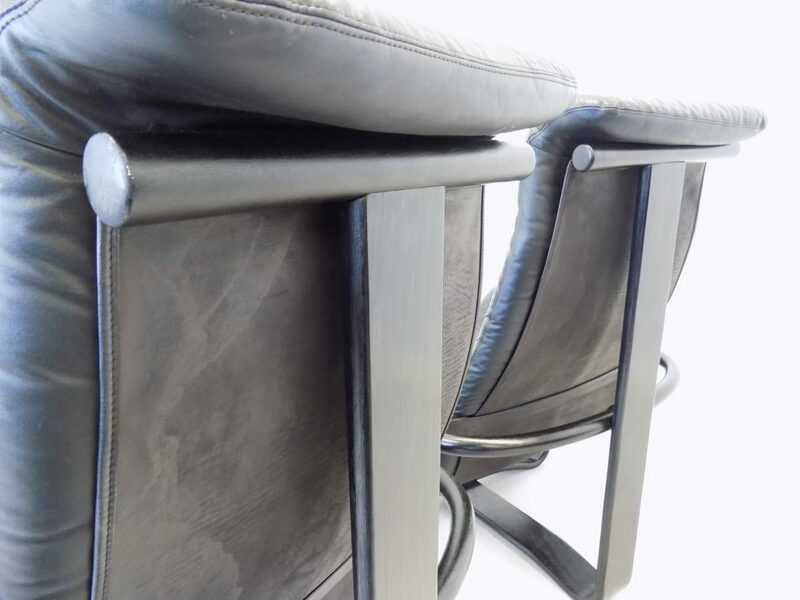 Leather and Wood with only small wear and tear. 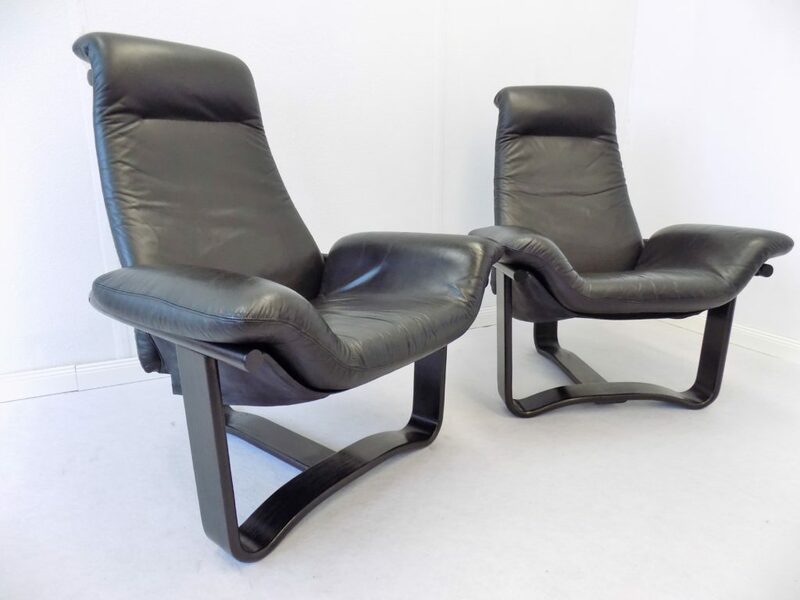 Minimum price for the offer must be greater than 784% of the Product.